Nominations are now open for an awards scheme to recognise those making an outstanding contribution to conserving the unique landscape and traditions of the New Forest. You can nominate a friend, family member, colleague, or even yourself, anytime between now and 1 May. The shortlisted nominees will have the chance to show their work to a panel of judges made up of experts from local organisations. Those lucky enough to reach the final stage will be presented with a trophy at this summer’s awards ceremony, held at the New Forest Show on 29 July. 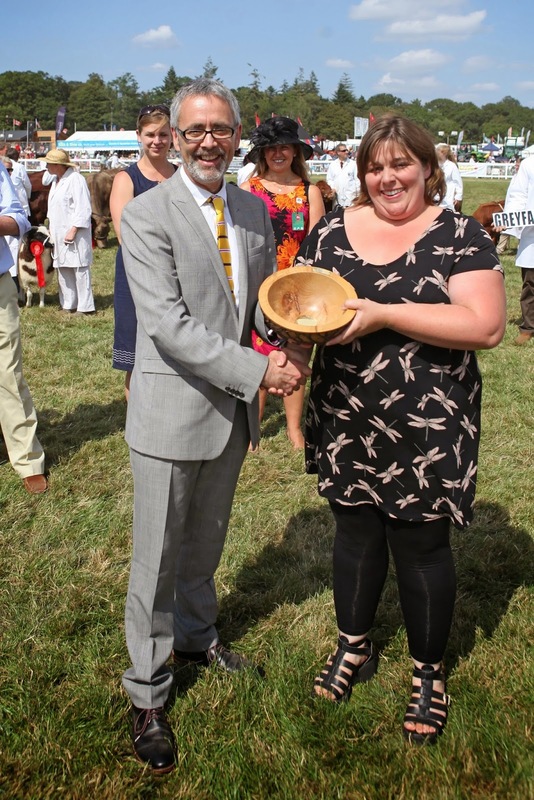 This year’s awards builds on a successful 2014 edition, which culminated in VisitEngland Chief Executive James Berresford presenting the awards to the winners in the main show ring at the New Forest Show. Catherine Shutler, owner of goat milk soap maker Cyril’s Soap Shed, was named Best Supporter of Local Produce in 2014 and said: ‘I am passionate about local produce, and try and help other producers as much as possible, so to be recognised with this award was a very special moment. ‘I never thought I would win, but I knew it would be good publicity for my business, and a chance to promote myself a bit. The judging day was particularly enjoyable – the judges came out one morning and it was great fun chatting to them and telling them what I do. Robin Edwards, CLA Director South East, said: ‘The CLA is proud to be working in partnership with the National Park Authority again to present these awards, and to introduce the new Rural Diversification category. Business diversification is an essential component of a thriving modern countryside, and there are fantastic examples of exciting and inventive diversification successes in the New Forest. New Forest National Park Authority Chief Executive Alison Barnes said: ‘After two successful years of this awards scheme, it’s a pleasure to be teaming up with the CLA again to celebrate those at the heart of the living, working forest. We hope that by supporting commoning, local produce, sustainability and rural diversification we will help to maintain the unique landscape of the New Forest. Nominations for each category can be made online at www.newforestnpa.gov.uk/awards and full criteria and rules can be viewed at www.newforestnpa.gov.uk/awardsinfo. To request a paper copy of the nomination form please phone 01590 646650.